Do you really LOVE training people on Google tools? Are you someone who will respond the same day to one of your students when they email you a year later with a question? Do you get a warm fuzzy feeling when you see the ‘aha moment’ as someone realizes they can apply something you said? Do you get a geeky excitement when you see a new feature added to G Suite and rush to retweet it? Do you have the free time to train? Are you willing to spend days unpaid and evenings and weekends keeping your skills up to date? ….If the answer to all the above is an enthusiastic ‘Yes’ then read on, you are in the right place! I was one of the first ever Certified Trainers in Europe and it’s genuinely changed my life in the friendships I’ve made, countries I’ve visited and things I’ve learned. It’s huge huge fun but it’s also really hard work. You’ll travel a lot, sometimes overnight and you’ll go straight from the airport to the school to present. The people you are training don’t care how far you have travelled, they just want amazing instruction. You can make some money as a trainer but there are much easier ways to make money so only do this because you love it. Certifications are no guarantee of being an amazing trainer but there are a lot of trainers out there and you need your basics covered. 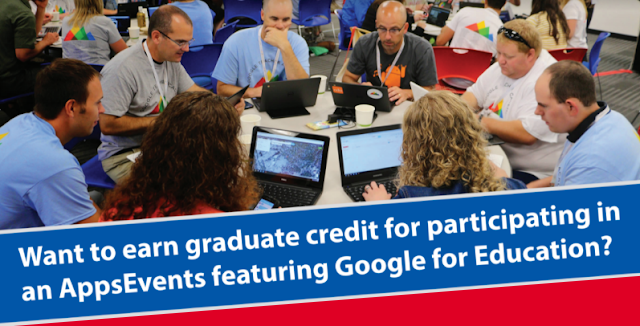 Take your Google Educator 1 and 2. Become a ‘Google for Education Certified Trainer’, and finally become a ‘Google Certified Administrator’. Many people miss out the Administrator Certification and it’s a mistake. Imagine you are teaching and someone asks “How do I create users in G Suite?” You can quickly jump into the admin console to show them. You don’t need to be ‘super techy’ but you do need to know enough to be useful and the Admin Certification is achievable for anyone with a bit of preparation. A second benefit if you have an aptitude for it is that there is a bigger demand for admin training and not so many trainers available. Once you are certified stay up to date with everything, keep track of all your certifications and renew when necessary. 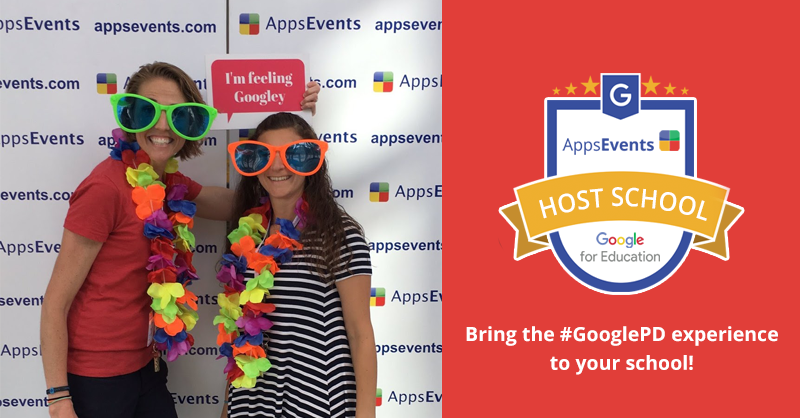 Submit sessions on Google Tools for any Education related conference or summit. Most events will give you a free place for presenting and it’s amazing practice and a great way to broaden your network. Contact any Google Trainer friends you have and ask if you can help them as an unpaid assistant at their training. Take everything you are offered! Will you fly long distances to present for just one day? The trainers we work with at AppsEvents will jump at it. It’s a global community and of course you can stay local if that suits your life and commitment’s but remember opportunities will be more limited. The more flexible you are the more in demand you will be. Always keep in mind that there are a LOT of good trainers out there already and the convenient opportunities are easy to fill with trainers that people already work with. The Saturday morning session at a convenient location is probably filled, the one in a more obscure venue at an inconvenient time is hard to fill and that is your opportunity. Remember that training is a ‘form game’. If for example a school needs a trainer and they call you up for three events and you say ‘no’ each time you’ll start to get lower on their list, so take everything that you can. Remember this: If you are a good trainer people will want to use you, but they need to know you can help with the ‘hard to fill’ sessions. Always do a ‘feedback form’ after every session and act on all negative feedback. You need to be a perfectionist and thick skinned. I’ve been a trainer now for six years and it still feels terrible when I get a negative feedback comment. Every time I try to analyse “Why did that person not have an amazing experience?” and then act to make sure I improve next time. 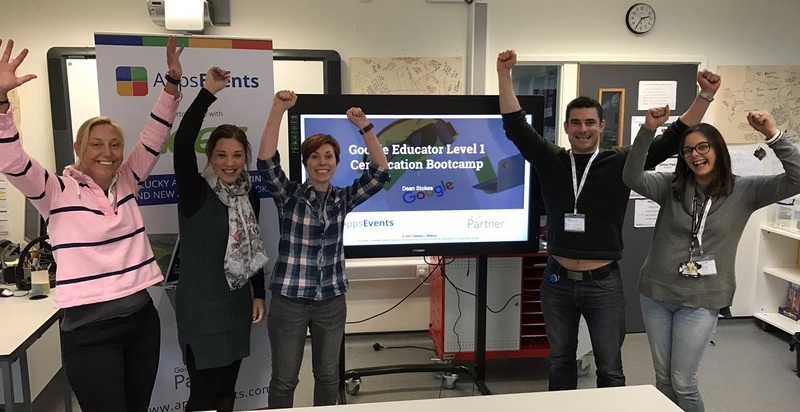 It goes without saying you should be up to date on all new features of G Suite and Google tools in general and more importantly their practical application in the classroom. Follow the right people on Twitter and subscribe to all the Google EDU related newsletters. As a trainer with no track record or references it’s tough to get paid….You need to take it slow. Train for free as much as you can, then ask for expenses, then ask for a low fee, then increase it. If you read in an online group that you can charge $2500 a day as a novice trainer you will be disappointed. Build up your ‘brand’ as a trainer and your network and treat it as a long term project. Wherever you train, be it conference or training event at a school, always help out with everything. Offer to help facilitate panels. Stay around at the end to help take signs down. Remember that offering to help with something specific that you see needs to be done is always the most useful. Just saying a general “If you need help just ask me” isn’t much use. Most importantly keep yourself grounded even after you have become successful as a trainer. I know amazing keynote speakers who are always humble and, for example, stay around to carry bags after the event. It adds a huge amount to how much you want to work with them! Pro tip: The best way to meet attendees at a conference and for them to remember you is to help out on the registration desk. Always, always go to the networking events at any meetup or conference. If there isn't a networking event then go ahead and organize one yourself on the fly. It is without a doubt the best place to meet people and for them to remember you. It’s the most fun part of any event and often where the real learning takes place.